Does your fish seem sad in it’s boring fish bowl? Well upgrade him to a posh Fish Hotel. 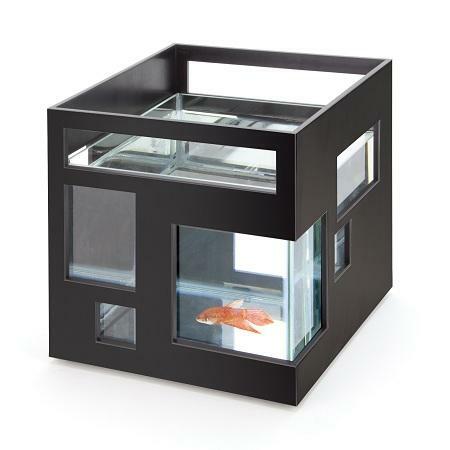 This upscale “fish bowl” has a colored outer shell with asymmetrical windows. There is a square glass inner bowl inside that is removable for easy cleaning. Buy more than one if you have multiple fish and stack the units together for multiple floors. Pick from either black or white. Who doesn’t love cheesecake? Now, what could make cheesecake even better? How about cheesecake on a stick! 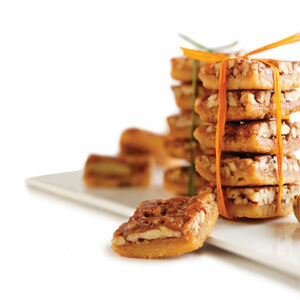 The New York Cheesecake Pops from Ferrara Bakery are perfect to enjoy alone or better served at a gathering. 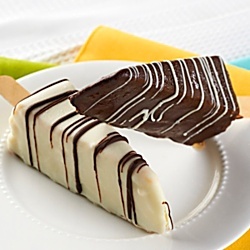 These pops are hand-dipped in dark or white chocolate, and finished with a chocolate drizzle. Comes in a pack of 12. Hard day in the office? Clear your mind and find a little tranquility with the Executive Desktop Meditation Zen Garden. 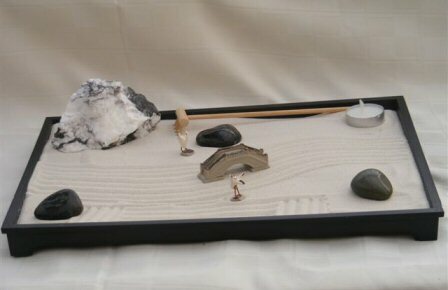 Inspired by the world famous Zen Rock Garden at Ryoan-ji in Kyoto Japan, this beautiful miniature rock garden may just be the thing to bring a little peace and serenity to a stressful day. Rake the sand around the stones of the garden while you sooth and calm your senses. Wish you were in Hawaii? Most of us do. Well, why not pretend and make your next party a tiki party then. 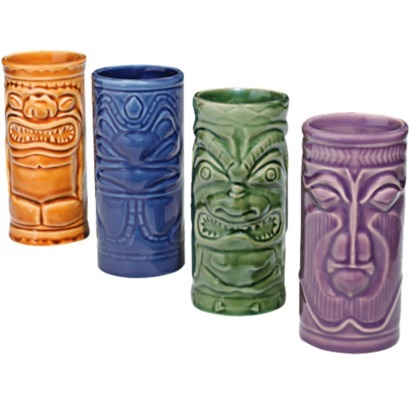 You can serve fun and fruity drinks in these island-style Tiki Ceramic Mugs. 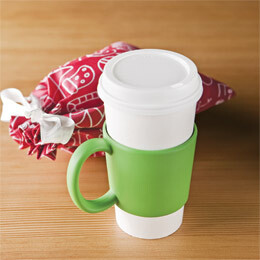 Each set comes with four distinctive-looking mugs. Each mug has a different face and color (orange, blue, green, and purple). So have a drink or two and pretend you’re relaxing on a beautiful Hawaiian beach. Save time in the morning by shaving in the shower. 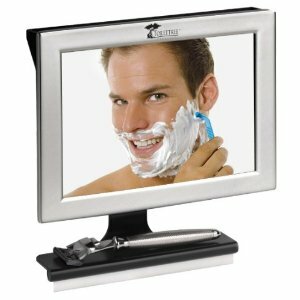 The Fogless Shower Mirror with Squeegee is guaranteed not to fog. The soft silicone adhesive secures it to all shower surfaces and the adjustable frame allows for use with different angles. Remove any excess water with the useful squeegee. 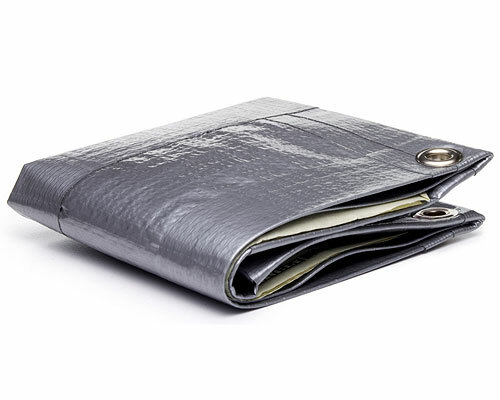 This top rated product is a great gift for any guy. The classic ’80s kids adventure movie is now out on Blu-ray. 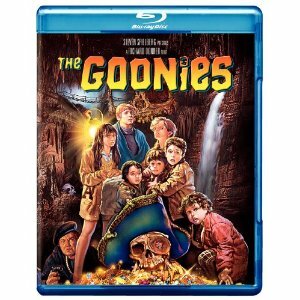 The Goonies is directed by Richard Donner and produced by Steven Spielberg. It’s a great and fun story of friends searching for a mythical pirate treasure to save their homes while being chased by criminals. Before Sean Astin was Rudy or a Hobbit, he was a Goonie. Also features Corey Feldman and Josh Brolin. A must-have classic DVD. Are you prepared? Prepared for the inevitable zombie apocalypse? What are you going to do when the undead start rising from the ground and want to eat your brains? Well, fear not! 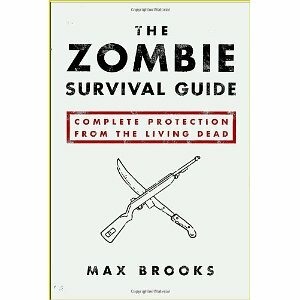 The Zombie Survival Guide: Complete Protection from the Living Dead will give you the survival skills you will need make it through. Know someone that loves sushi? 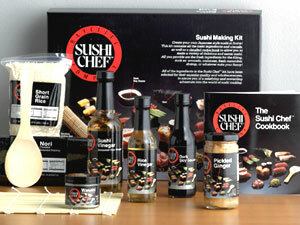 Now it’ll be alot easier, cheaper, and more fun to make it at home with the Sushi Chef 10-Piece Sushi Kit. This set comes with short-grain rice, nori seaweed, wasabi, dark soy sauce, pickled ginger, rice vinegar, sushi vinegar, a rice paddle, a bamboo mat, and the Sushi Chef cookbook. It comes with all the essentials to make sushi at home. The only other thing needed is fresh sushi-grade fish. This will both be fun and delicious!